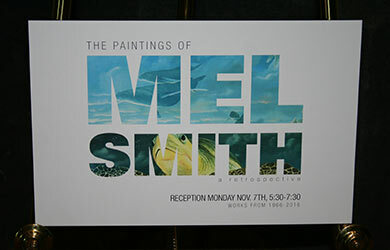 Local artist Mel Smith has had his paintings on display in galleries throughout the United States. A half century of Smith’s work will be hanging on the walls of Cowley College’s Earle N. Wright Community Room now through December 5. A reception will be held Monday, November 7 from 5:30-7:30 p.m.
“We are very excited to have his work in the Wright Room,” Cowley College Visual and Performing Arts Department Chair Mark Flickinger said. 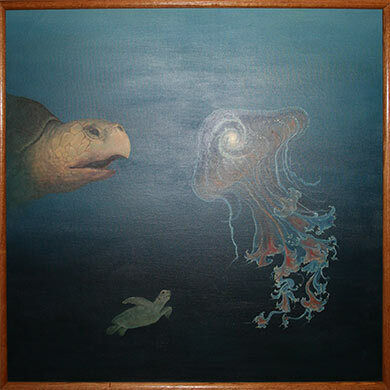 This marks the third time that Smith has had his work featured at Cowley College. Smith was born and raised in San Diego, CA. He and his wife, Dotty, have been married since 1963. The couple live in Arkansas City and have six children. Smith is a self-taught artist and works in oil paintings. He has received Best of Show awards at Winfield’s Art in the Park and from the San Diego Art Institute. He has shown paintings in the Valhalla Gallery in Wichita, KS and Dallas, TX as well as the Dallas Museum of Art. His work is also part of a permanent collection at the San Diego Art Museum. There is no cost to attend Monday’s artist reception.